Just over a week ago astronomers from all over the United States submitted white papers to the Astro2020 decadal survey on topics across the field of astronomy. They are great short summaries of topics from planetary systems to galaxy evolution to multi-messenger astronomy and everything in-between. Brexit might not seem like a scientific question, but scientists in the UK and across Europe are already feeling its impact. 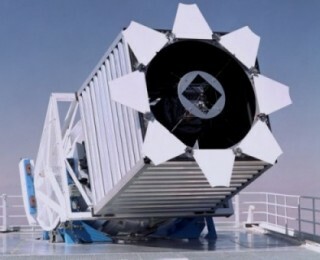 How will leaving the EU affect astronomy in the UK? 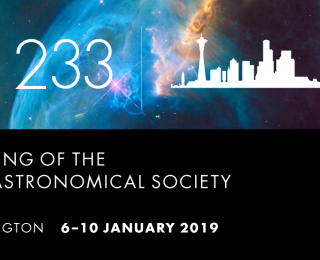 We report on Day 4 of the winter AAS meeting in Seattle, WA. Highlights include an exploding space cow, a discussion of data in astronomy, the latest look at the possibility of life beyond earth, and an exploration of climate impact much closer to home. What’s next in the future of dark matter direct detection experiments? Find out in Dr. Elena Aprile’s plenary talk at #AAS233! How do the protoplanetary disks around young pre-main sequence stars evolve into planetary systems? Come attend Dr. Catherine Espaillat’s plenary talk “From Disks to Planets: Observing Planet Formation in Disks Around Young Stars” at #AAS233 to know more!